Coral reefs are dying, and scientists and governments around the world are contemplating what will happen if they disappear altogether. The idea positively scares them. 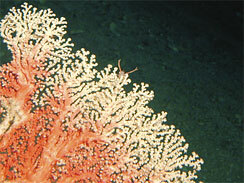 Coral reefs are part of the foundation of the ocean food chain. Nearly half the fish the world eats make their homes around them. Hundreds of millions of people worldwide - by some estimates, 1 billion across Asia alone - depend on them for their food and their livelihoods. If the reefs vanished, experts say, hunger, poverty and political instability could ensue. "Whole nations will be threatened in terms of their existence," said Carl Gustaf Lundin of the International Union for the Conservation of Nature. Numerous studies predict coral reefs are headed for extinction worldwide, largely because of global warming, pollution and coastal development, but also because of damage from bottom-dragging fishing boats and the international trade in jewelry and souvenirs made of coral. 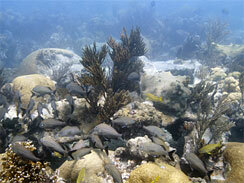 At least 19 percent of the world's coral reefs are already gone, including some 50 percent of those in the Caribbean. An additional 15 percent could be dead within 20 years, according to the National Oceanic and Atmospheric Administration. Old Dominion University professor Kent Carpenter, director of a worldwide census of marine species (the Global Marine Species Assessment) , warned that if global warming continues unchecked, all corals could be extinct within 100 years. "You could argue that a complete collapse of the marine ecosystem would be one of the consequences of losing corals," Carpenter said. "You're going to have a tremendous cascade effect for all life in the oceans." Exotic and colorful, coral reefs aren't lifeless rocks; they are made up of living creatures that excrete a hard calcium carbonate exoskeleton. Once the animals die, the rocky structures erode, depriving fish of vital spawning and feeding grounds. Experts say cutting back on carbon emissions to arrest rising sea temperatures and acidification of the water, declaring some reefs off limits to fishing and diving, and controlling coastal development and pollution could help reverse, or at least stall, the tide. Florida, for instance, has the largest unbroken "no-take" zone in the continental U.S. - about 140 square miles off limits to fishing in and around Dry Tortugas National Park, a cluster of islands and reefs teeming with marine life about 70 miles off Key West. Many fishermen oppose such restrictions. And other environmental measures have run into resistance at the state, local, national and international level. On Sunday, during a gathering of the Convention on the International Trade in Endangered Species (CITES) on Wild Fauna and Flora, restrictions proposed by the U.S. and Sweden on the trade of some coral species were rejected. If reefs were to disappear, commonly consumed species of grouper and snapper could become just memories. Oysters, clams and other creatures that are vital to many people's diets would also suffer. And experts say commercial fisheries would fail miserably at meeting demand for seafood. "Fish will become a luxury good," said Cassandra deYoung of the United Nations Food and Agriculture Organization. "You already have a billion people who are facing hunger, and this is just going to aggravate the situation," she added. "We will not be able to maintain food security around the world." The economic damage could be enormous. Ocean fisheries provide direct employment to at least 38 million people worldwide, with an additional 162 million people indirectly involved in the industry, according to the U.N.
Coral reefs draw scuba divers, snorkelers and other tourists to seaside resorts in Florida, Hawaii, Southeast Asia and the Caribbean and help maintain some of the world's finest sandy beaches by absorbing energy from waves. Without the reefs, hotels, restaurants and other businesses that cater to tourists could suffer financially. Many Caribbean countries get nearly half their gross national product from visitors seeking tropical underwater experiences. People all over the world could pay the price if reefs were to disappear, since some types of coral and marine species that rely on reefs are being used by the pharmaceutical industry to develop possible cures for cancer, arthritis and viruses. 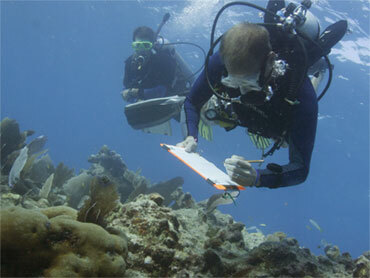 "A world without coral reefs is unimaginable," said Jane Lubchenco, a marine biologist who heads NOAA. "Reefs are precious sources of food, medicine and livelihoods for hundreds of thousands around the world. They are also special places of renewal and recreation for thousands more. Their exotic beauty and diverse bounty are global treasures."